Final Ride: Bobby. 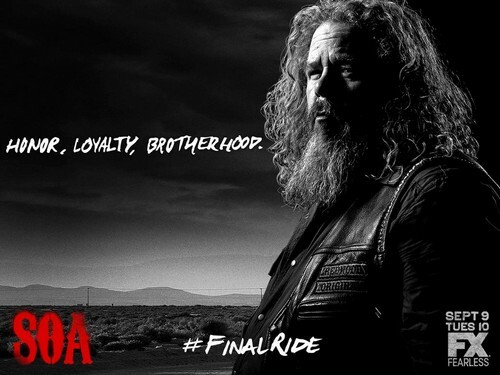 Honor, loyalty, brotherhood.. HD Wallpaper and background images in the Sons of Anarchy club tagged: photo sons of anarchy season 7 poster promo final ride mark boone junior bobby munson. This Sons of Anarchy photo contains konzert. There might also be gitarrist.